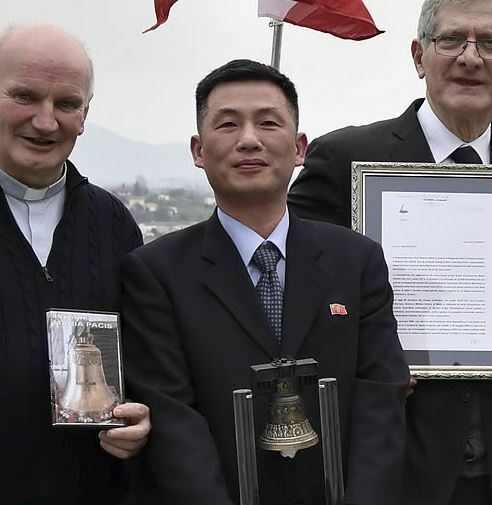 North Korea has been hunting down its top diplomat in Italy after he went missing in early November amid news reports he applied for asylum with an unidentified Western country. The department of international affairs of the North’s Workers’ Party and its Foreign Ministry were ordered to conduct a sweeping probe into its acting Ambassador to Rome Jo Song-gil, look for others who may be seeking to defect and find ways to prevent such occurences, JoongAng Ilbo reported Friday, citing unnamed sources. The South Korean spy agency confirmed that Jo went missing in early November, according to lawmakers on the parliamentary intelligence committee. Pyongyang sent a team to track down Jo immediately after he went into hiding two months ago, JoongAng Ilbo said, citing a source in Italy. “Four diplomats were stationed in the North Korean Embassy in Rome, and there were barely any others going in and out of the embassy. But unfamiliar faces were seen entering the embassy in the past two months,” the source was quoted as saying by the newspaper. When Thae Yong-ho, the North’s former deputy ambassador to the UK, defected to the South in 2016, the North replaced its ambassador in London. Following Thae’s defection, officials in the North’s diplomatic missions in not just the UK but also China were seen returning home at the time. The North Korean consulate in Shenyang, China, had gone largely inactive. The North’s diplomatic mission in Uzbekistan, the last that had remained in Central Asia, closed.